Following his historic win at UFC 226, Daniel Cormier made a strong case for himself to be called the greatest of all time, as he is holding two UFC championships simultaneously. So who should be considered GOAT? You have to be free of performance enhancement drugs to be qualified for Greatest Of All Time debate. Cormier during his interview with Slip ‘N Dip podcast, ‘DC’ named two fellow fighters to which he believes these two should be considered the GOAT alongside him, Demetrious Johnson and Georges St-Pierre. To Cormier, Anderson Silva, who like Jones cheated twice, is also on the sidelines. 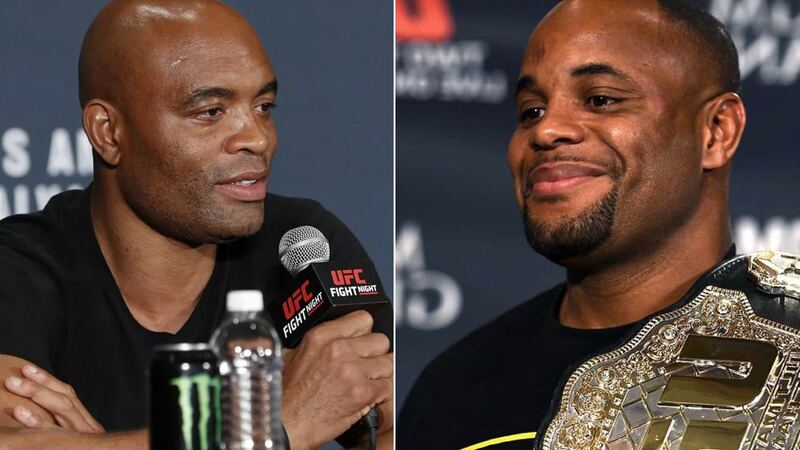 We agree to some extent what DC said about Jones and Silva, but it’s also hard to deny what both fighters have achieved inside the octagon throughout their UFC careers as well. Silva met Cormier back in 2016 at UFC 200, when Jones pulled out due to injury, and Cormier went on to won via dull decision. Silva and Jones are currently serving their respective suspensions for their failed drug test in 2017.